Home Tags Posts tagged with "Leanne Tobin"
On a busy intersection in Oakhurst, where Rooty Hill Road North meets Richmond Road, a bare site is protected by cyclone fencing and a small lock. Beyond the grassy surrounds the landscape is typical of Western Sydney’s growing urban sprawl. On the gate is an official “No Trespassing” sign in bold red. Most locals are unaware that within the parameters of the fenced off area lies the foundations of The Blacktown Native Institution. 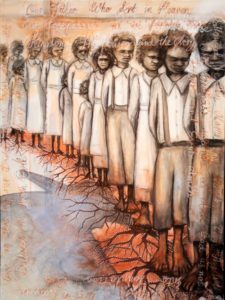 Established in the 1820s, it is one of the first known sites where Aboriginal children were removed from their parents and institutionalised – a practice that continued until the 1970s. 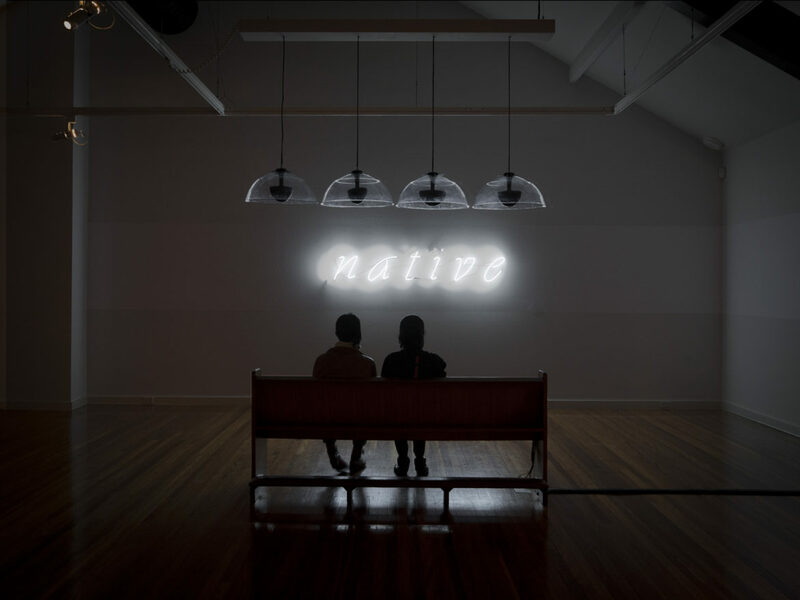 In 2013, Blacktown Arts Centre presented The Native Institute. 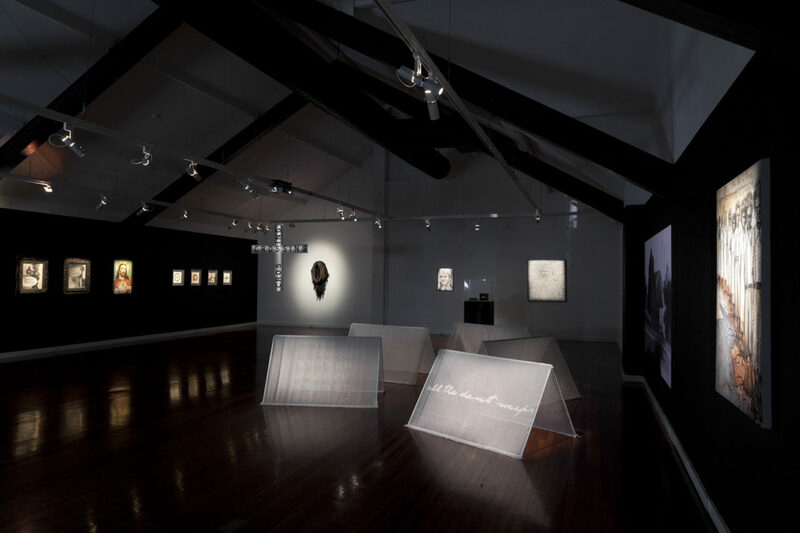 Led by artist provocateur Brook Andrew, six artists – Daniel Boyd, Robyn Caughlan, Karla Dickens, r e a, Leanne Tobin and Jason Wing – took on the role as ‘mirrors and finders’ of a history once forgotten. 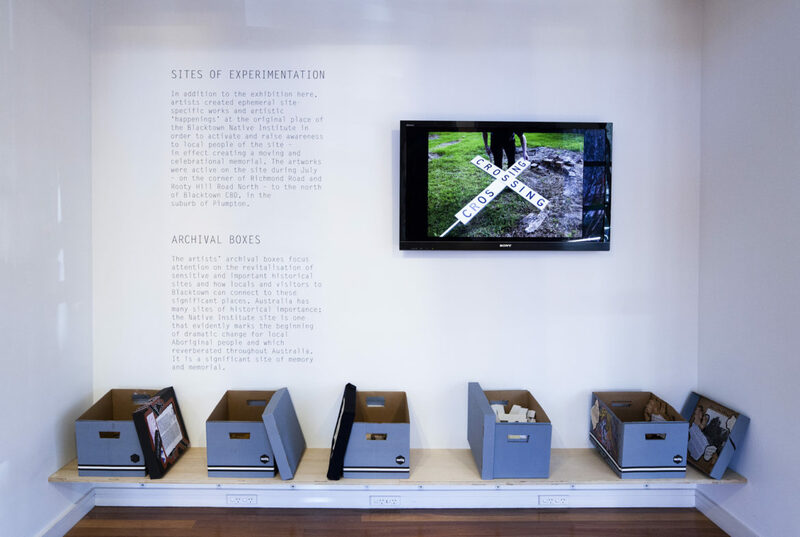 A component of the project was a series of interventions on the actual site entitled Sites of Experimentation, where the artists responded to the space based on their collective research, and the imagined lives of its past inhabitants. 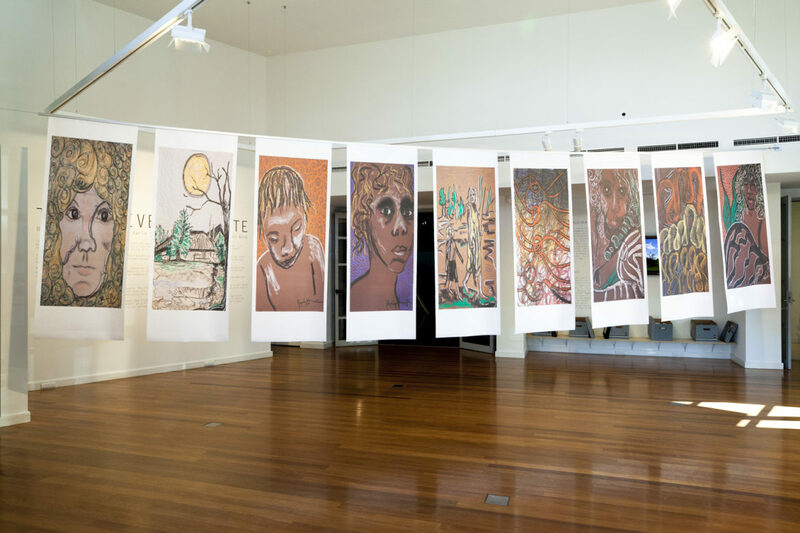 The Blacktown Native Institution site continues to be activated as part of the C3West partnership, a collaboration between Blacktown Arts Centre on behalf of Blacktown City Council, the Museum of Contemporary Art Australia and UrbanGrowth NSW. 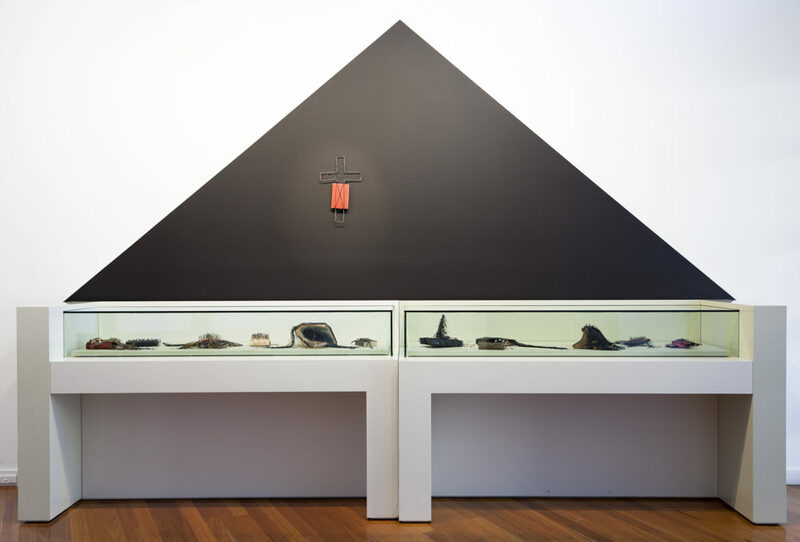 The room sheet featured below unpacks the works from the 2013 exhibition. 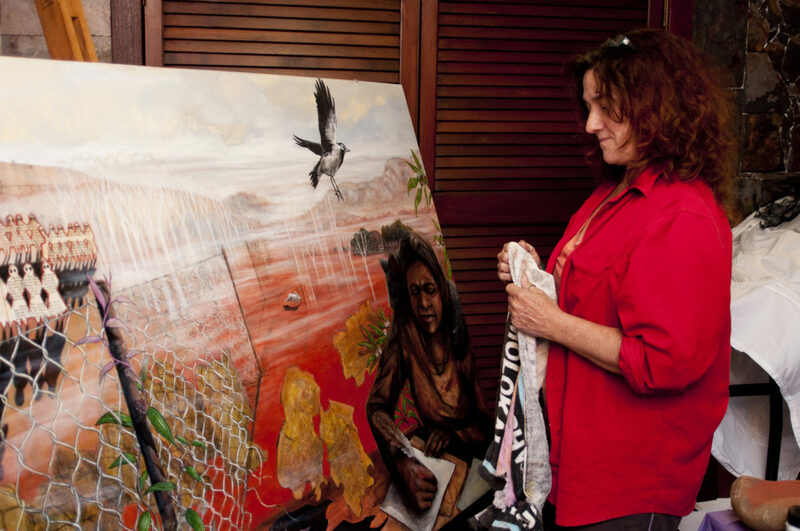 Visit the BNI Project website for more information on the site, the project, and future events. 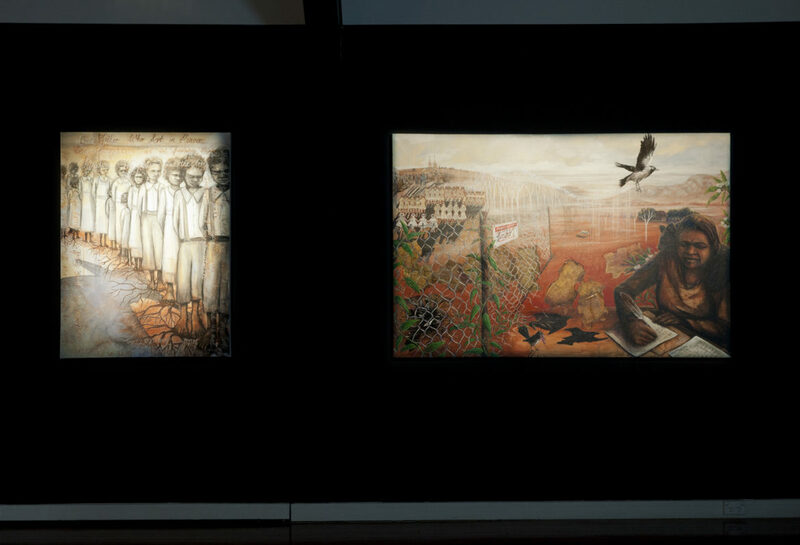 Photo 3: Robyn Caughlan, The Ancestors and I Walk The Same Footprints But At Different Times You See, 2013. 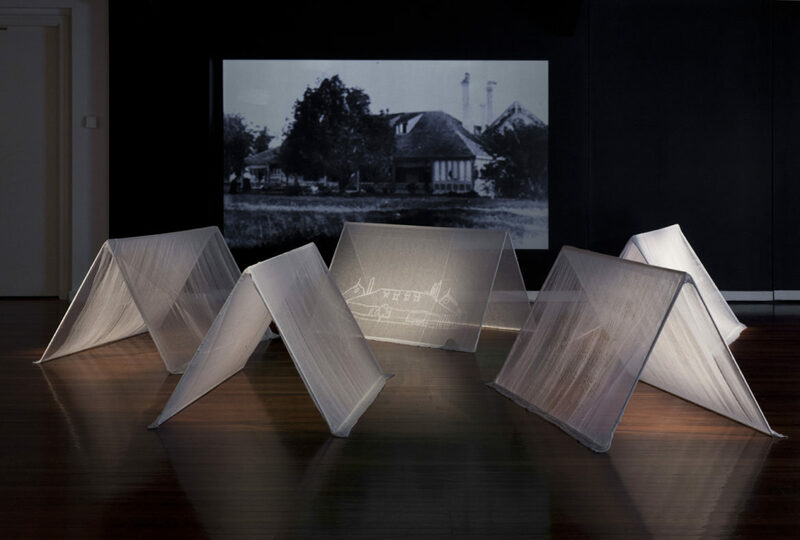 Photo 4: Karla Dickens, Bible series, 2013. Photo 5: Leanne Tobin, Suffer the Little Children and The Humble Petitioner, 2013. Photo 6: Daniel Boyd, A Shift in Paradigm Takes Time, 2013. 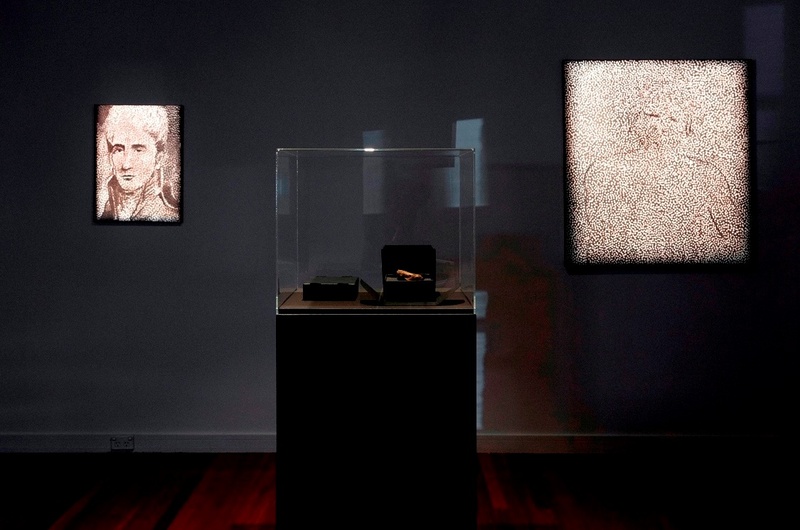 Photo 7 (from left): Karla Dickens, Civilising Series; Jason Wing, Double Crossing; Daniel Boyd, A Shift in Paradigm Takes Time; Jason Wing, 28 December, all 2013. Photo 8: Jason Wing, 28 December, 2013. 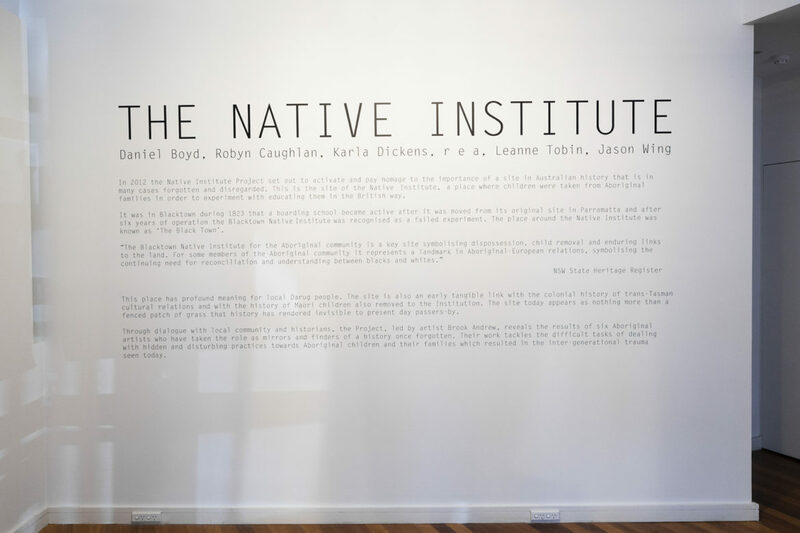 Photo 9: r e a, The Native Institute 371.919915, 2013.